11th Annual Minnesota Garlic Festival! this saturday, august 13, the 11th annual minnesota garlic festival will take place in hutchinson. 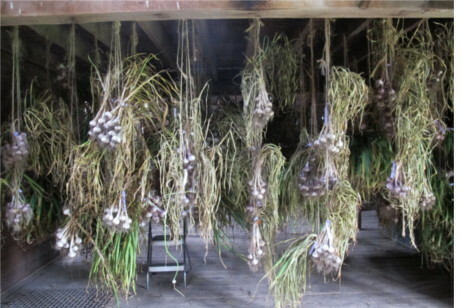 hawk’s brain garlic will be there and will be offering over 30 varieties of garlic. come and enjoy the very festive atmosphere. eat garlic chip cookies (offered by yours truly) and garlic ice cream. you will NOT be disappointed. check out the festival’s website at http://www.sfa-mn.org/garlicfest/. this garlic is now cured, cleaned and awaiting you!